Dr. Smith received his M.D. degree from the University of North Carolina School of Medicine. He performed his residency and chief residency in Internal Medicine at Harvard’s Beth Israel Hospital in Boston, MA. His Rheumatology fellowship was obtained at Harvard’s Brigham and Women’s Hospital and Beth Israel Deaconess Medical Center, Boston, MA. 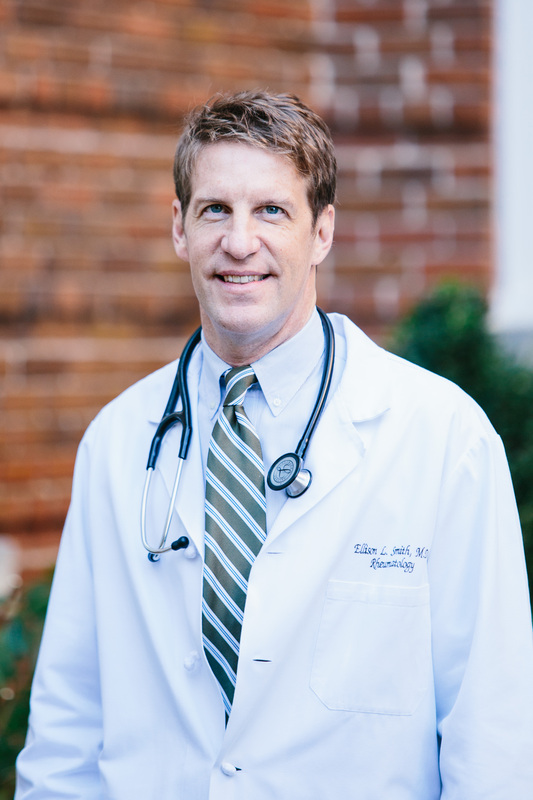 Dr. Smith is a Clinical Associate Professor of Medicine at the UNC School of Medicine and is a past president of the North Carolina Rheumatology Association. He has been elected to Best Doctors in America annually since 2005. He sees adults and children of all ages.